The 52 Weeks toolbox arrives monthly with a weekly marketing piece that is informative and educational. An instructional sheet is provided in each box which coaches your marketer on what to say when they visit targeted referrers. 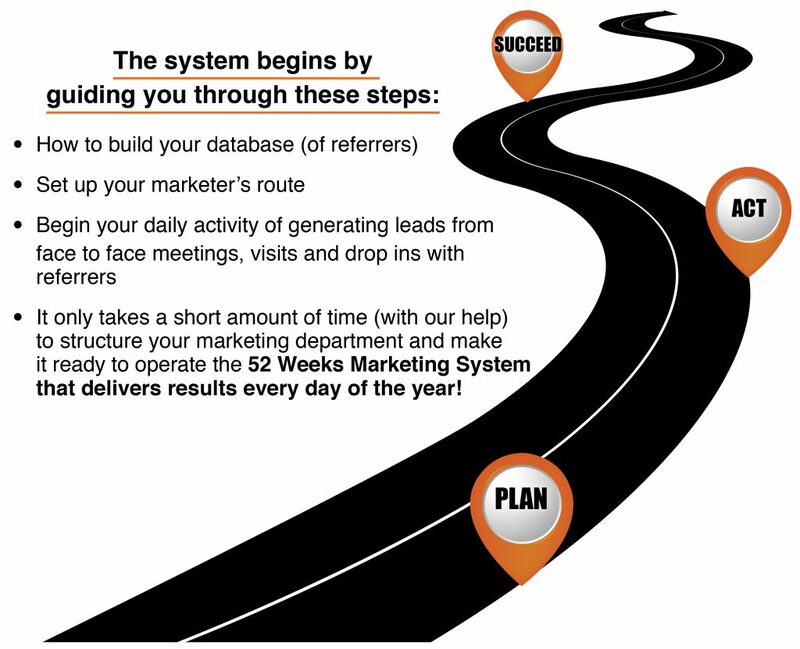 This program provides your marketer with a structured road map that makes it easy to call on referrers every week throughout the year. The 52 Weeks Marketing Program compliments your current marketing program and makes it easy to manage, track and measure your marketer’s daily activities. 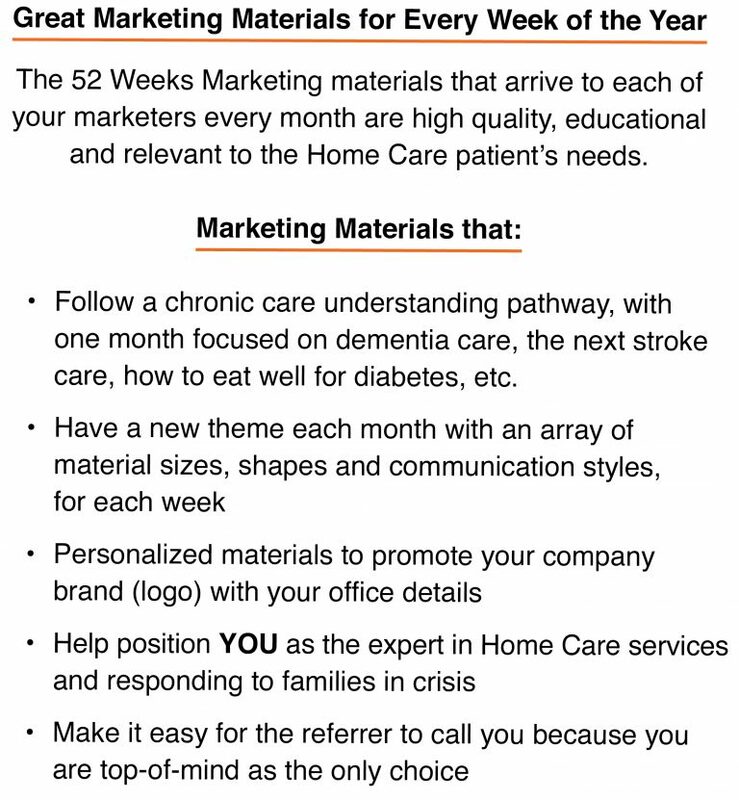 Less than 3% of Home Care providers have marketing experience or the appropriate tools for their marketers. A marketer without a sales system and tools is like a ship without a rudder.